Much of modern life these days consists of keeping up with our fast paced lives with conveniences available at every corner. These conveniences exist in the form of fast food, processed foods, over the counter pills and more, all catering to the promise of convenience and relief during our rushed schedules. While it’s easy to get consumed in the whirlwind of modern life, we end up neglecting what’s most important: OUR HEALTH. The advances that speed up our lives also upset the balance that is crucial for our health and what ultimately leads to a build up of toxins in our body. In the case of a toxic overload, toxins lodge in your cells, soft tissues , muscles and mainly fat, overwhelming your entire immune system. Our bodies already have five detox organs that help naturally flush out toxins. It’s our skin, lungs, kidneys, liver & intestines. These organs help extract the toxins that we are exposed to everyday through food, air, radioactivity, pollution, etc. If our body is well balanced, our detoxification is active and healthy. However, when these organs are overwhelmed with toxins, your body will react in the form of common symptoms. These are signs that our bodies are working overtime, trying to remove these toxic elements. While these may seem like ordinary symptoms of daily life, it is usually a symptom for undelying cause of a major disease or an imbalance in the body. CHEMICALS: added to foods like pesticides and fertilizers. Endocrine disruptors: like BPA (found in plastic), DDT(pesticide) and phthalate (cosmetics) and household cleaning products. These may interfere with the body’s natural hormonal balance and produce adverse effects on the reproductive, neurological, and immune system. 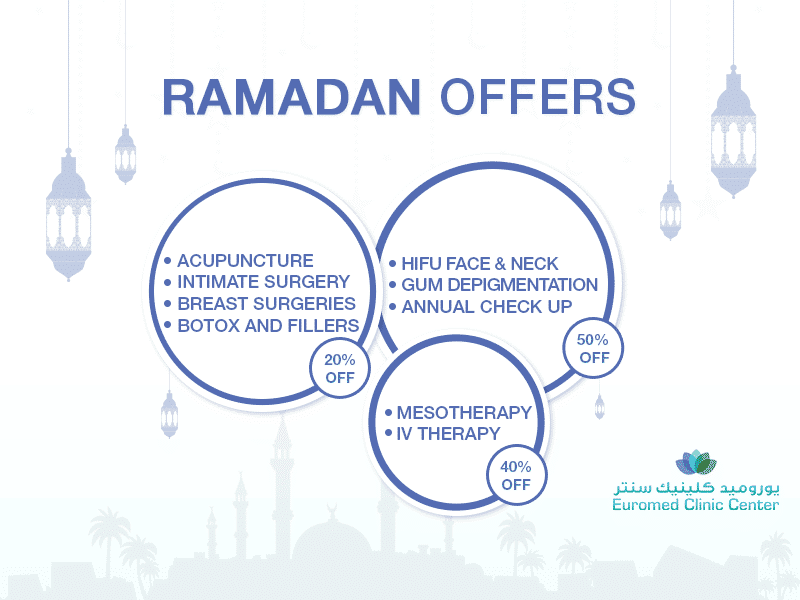 Euromed is one of the most supportive family clinics in Dubai. If you have unexplained symptoms of weakness, fatigue, tiredness, bloating, indigestion we are here to help you, through our Family Medicine and Holistic practitioner Dr. Hoda Makkawi, who will work with you to find the root cause of the problem and provides you with the adequate measures to eliminate toxins from your body.